Cricket - Warley v Southowram. Matthew Whitworth bats for Warley. This year’s Halifax League T20 competition winners Warley have gone on to become West Yorkshire indoor six-a-side champions. 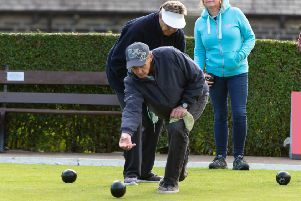 They won a round robin competition at Bradford League club Woodlands and will represent the area in the county final at Headingley in late January. Matthew Whitworth, who also led Warley to Parish Cup final success over Triangle at Copley in August, was at the helm again and he led from the front. Whitworth’s brother James, Greg Keywood, Dan Syme, Haroon Razzak and Faheem Khatana completed the Warley line-up. Leeds Sikhs beat Woodlands in the first game, overhauling the host club’s 78-2 score off 12 overs with four wickets down. Warley then limited Leeds Sikhs to 65-4 and made 66-3 in reply. The Halifax side clinched success by piling up 112-4 against Woodlands, who were restricted to 86-2. Matthew Whitworth retired in both matches after reaching 25 while James Whitworth also retired against Woodlands and the brothers both returned to the middle in that game. The wickets Warley took in the two games were shared. Keywood said the Warley players were surprised at their success having had limited experience of playing indoor cricket but had picked up some tips by watching the second half of the opening contest. The quickest way to score runs is to hit a boundary against the back wall for four or six but batsmen often attempt to score three runs by hitting the ball against a side wall and completing a quick single with their partner. Keywood said the small, quick Matthew Whitworth was particularly adept at the “tip and run” tactics. If Warley make further progress at Headingley, when Keywood said Sheffield Hallam would be among their opponents, the next stage is at Old Trafford before a final at Lord’s.